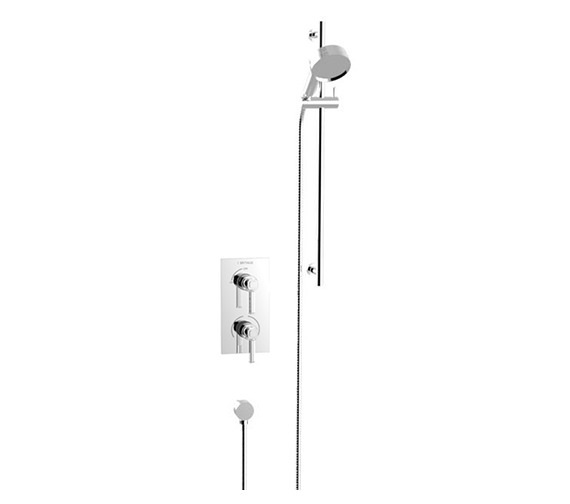 Heritage Somersby Concealed Thermostatic Shower Valve with Slide Rail Kit combines thermostatic valve and slide rail with handset kit. It has been realized from top grade materials and features a chrome finish with white detailing on handset. The traditional design looks elegant in any setting while it works efficiently with a ceramic disc and one outlet. Designed in the UK by expert engineers, for even low-pressure operation, it has two controls for temperature and pressure. Thermostatic technology and safety first function make it convenient to use at the set temperature.